In 2018, Harris earned an M.S. in Cultural Foundations of Education and a Certificate of Advanced Disability Studies from Syracuse University. He was also one of the founders of the student organization On The Spectrum at Syracuse University. Harris also has a B.A. from the College of Mount St. Joseph in Cincinnati, Ohio. He was introduced to disability advocacy in his class Disability, Culture and Equity that nurtured his passion for civil rights and to spread awareness and advocate for independence and inclusion to improve lives and empower people in the disability community. Harris graduated with Honors in December 2013. 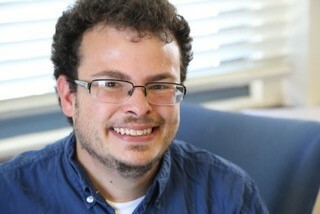 In 2013, Harris founded the non-profit organization Jason’s Connection. Jason’s Connection is an online community promoting inclusion, independence, and equality of opportunity for individuals with disabilities, mental health, aging and diverse abilities and needs. It explores the cultural and social aspects of disability and shares ideas to change cultural perceptions of differences by featuring expressions of art and personal-experience blogs contributed by our online community, and one of the largest national, organic searchable directories for medical, housing, employment, and other resources. Additionally, it provides a personalized service to assist those with specific needs to locate resources in their area. The site operates concurrently with an active Facebook page, which currently has over a quarter of a million followers. Since its inception, Jason’s Connection has grown to be one of the largest, comprehensive, and diverse online presence that is run by a person with a disability. Harris has actively participated in speaking engagements across the country including at ReelAbilities Film Festivals and continues to speak nationally to groups about hidden and invisible disabilities, and he works to build relationships with other national disability organizations.